Want an educational game to train up your brainpower or for your kids? 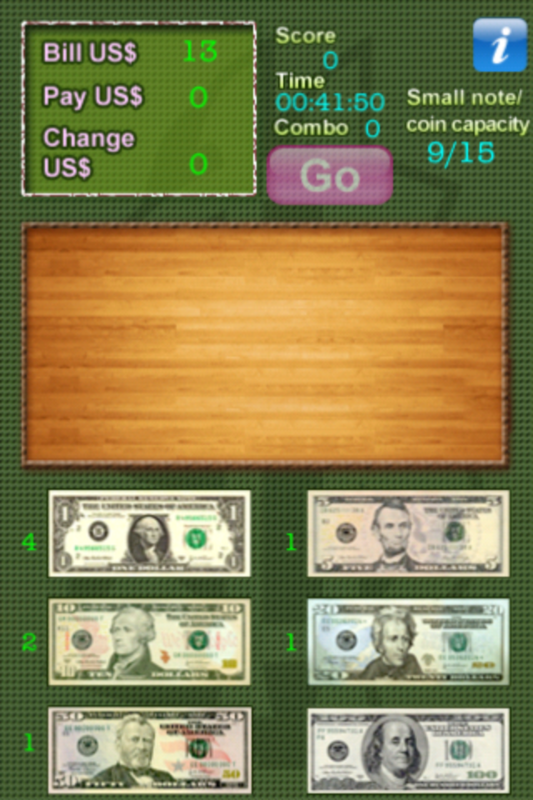 This is the first iPhone game that trains your brain through speedy money changing games of US dollars and coins! The game rule is simple but challenging. 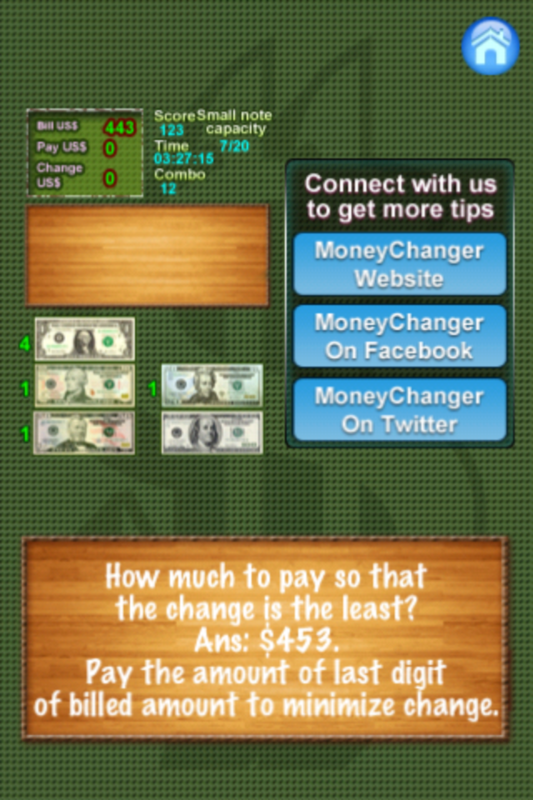 You just pay the amount to achieve small number of change. But you have to calculate fast to pay before game over. 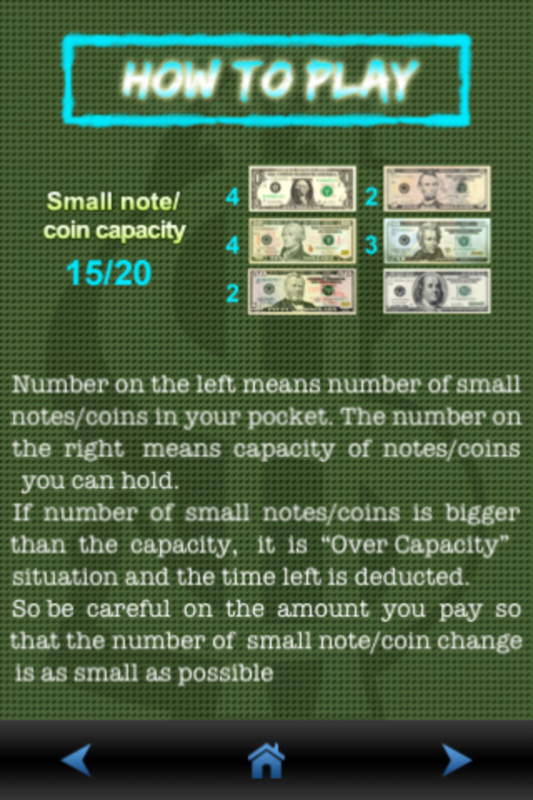 You cannot overpay otherwise your pocket cannot hold the high capacity of change and time is deducted before game over. You can play this game everyday to track your progress. Check your improving brainpower by checking the higher grade you can achieve. Anytime or when you have broken your record, you can share via email with your friends to celebrate your improvement. 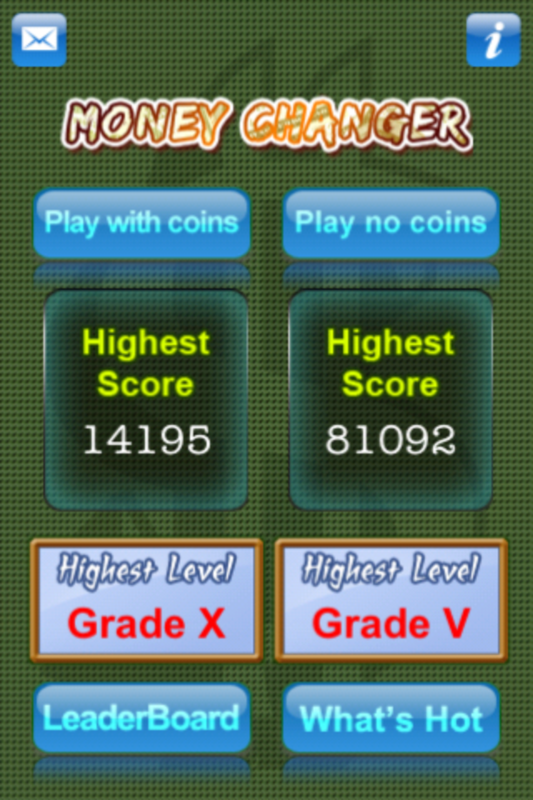 Or you can compete with your friends by checking the Game Center leader board. 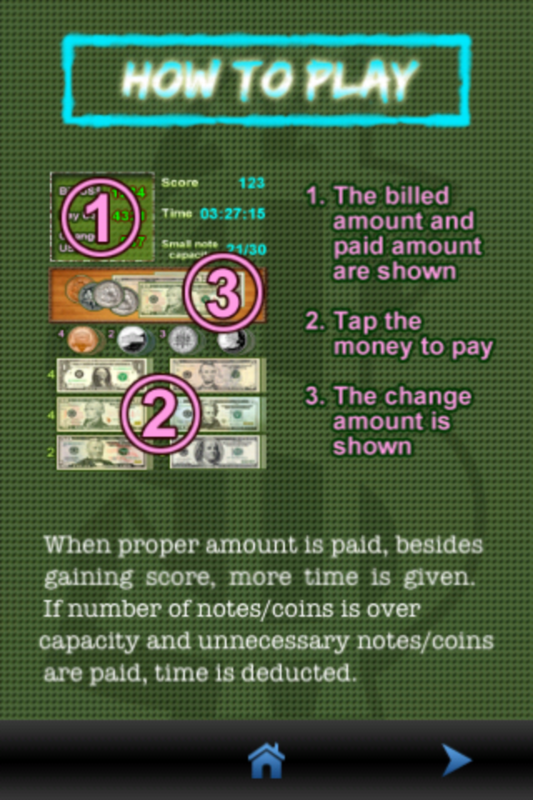 Lite version is pretty straightforward and you can have a feel on the money changing game by playing with US dollar notes ($1, $5, $10, $20, $50 and $100). 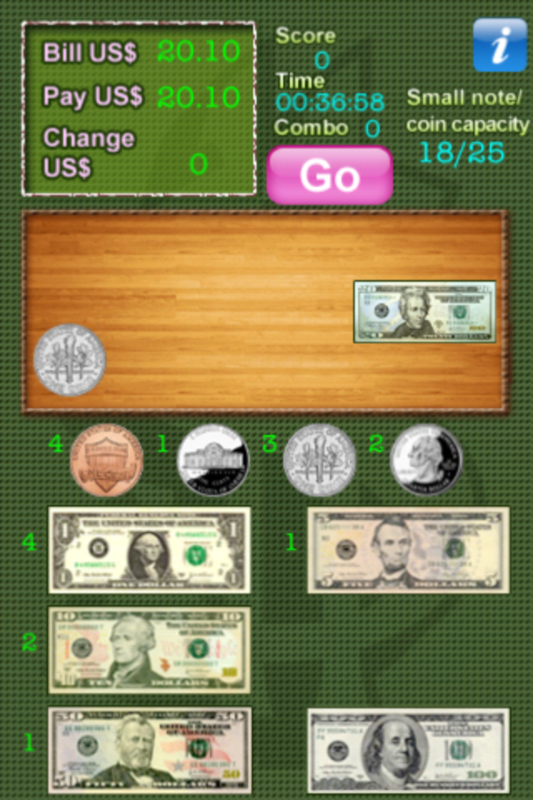 The full version is the real challenging part because you have to look after the decimal bits, that is, including money changing of US dollar coins (1 cent, 5 cents, 10 cents and 25 cents).